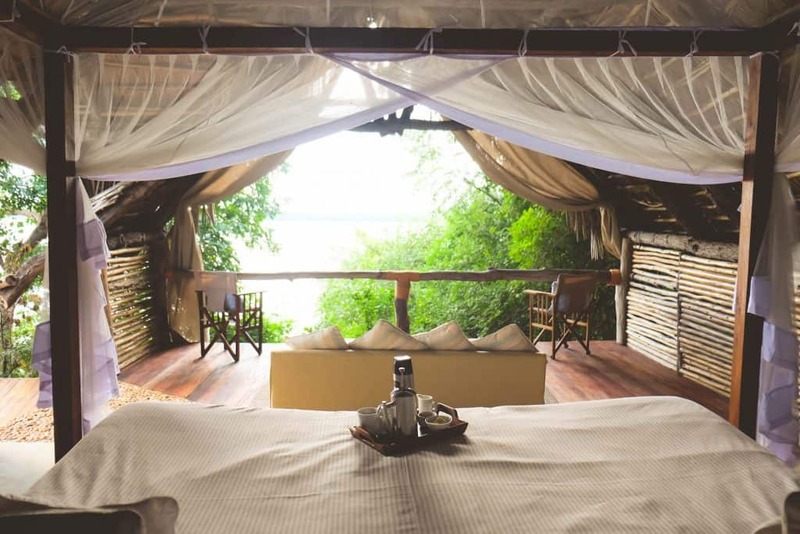 The Selous Game Reserve is located in southern Tanzania and far from the madding crowds of the Serengeti. The 54,600 square kilometer safari area is Africa’s largest game reserve and one of the most beautiful wildlife areas in the world. What’s even more surprising is the park is still undiscovered, so to speak! The amazing game of the Selous congregates around the numerous sources of water in the reserve, rivers, lakes, pans, and even an inland delta. The Selous is Africa at it’s finest! 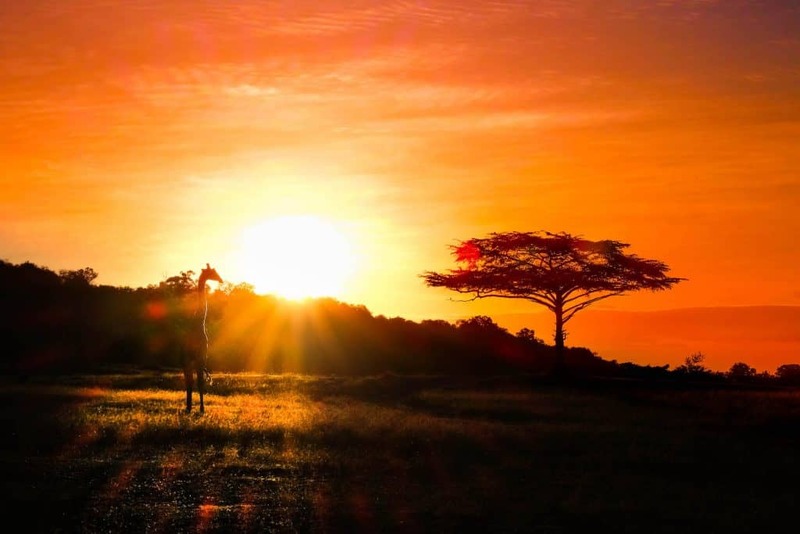 It is not the park for those looking to see thousands of animals, but for those looking to reconnect with the raw wilderness of Africa. Granted the park was abundant in giraffe and the landscapes were unlike any other park we had been to previously. This is the Africa of old, romantic, stylish, and remote. When we landed in the Selous we knew it was a special place in Africa. The massive swath of land has remained remote and untamed. To top it all off we were slated to stay at one of the parks oldest and most renowned lodges. 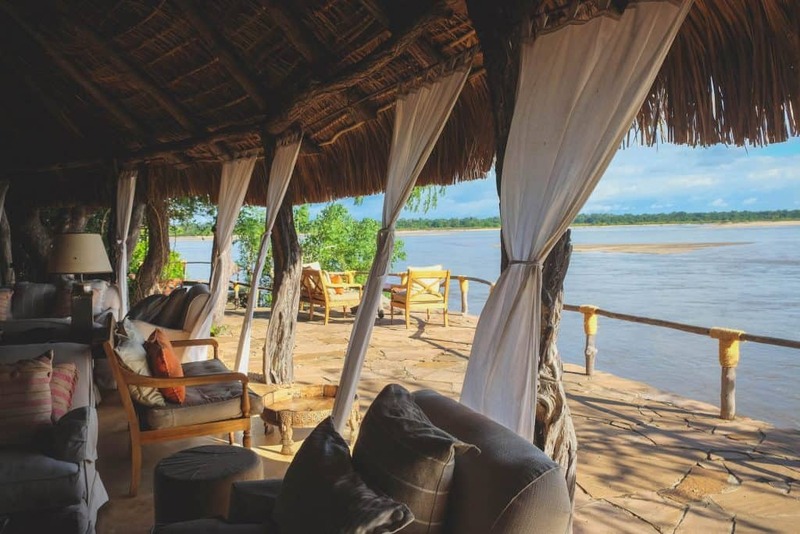 When we walked into Sand Rivers Selous situated on a magnificent spot along the Rufiji River we knew we were in for a treat. The lodge feels as it’s been set right into the bank as you step down into the main lounge that looks out over pods of grunting hippos. While, our banda, one of only eight, seemed like a tree house lost in time. 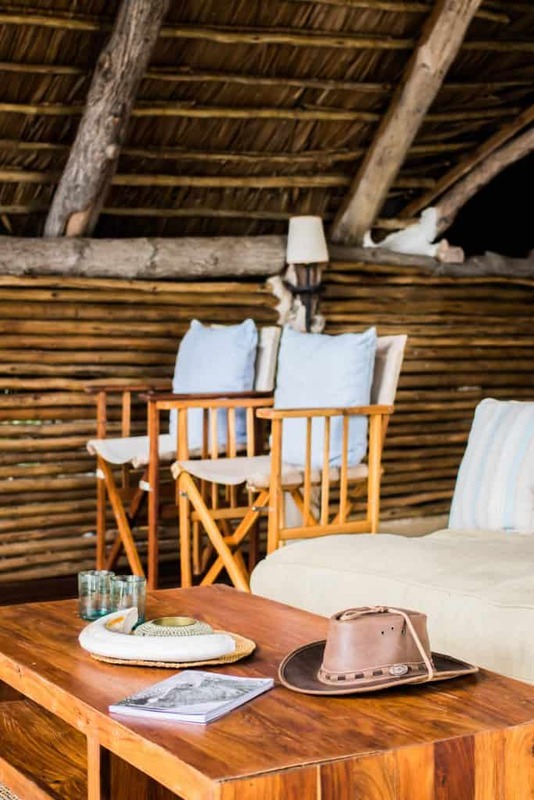 We’ll talk more about why Sand Rivers is one of our favorite lodges in Africa later in the post. Tanzania is one of the best countries in the world to go on safari. It is here wildlife still reigns supreme. It is a country in which a herd of over one million wildebeest is the number one tourist attraction. A herd that also draws a herd of tourists, but a reserve like the Selous still remains undiscovered. Only about 10% of the reserve is open to photographic safaris and permanent lodges leaving the rest open to big game hunting. These are hunting operations only open to the rich and it is rugged and wild. Opinions on whether big game hunting is ethical or not remain debatable. However, these hunts are big revenue earners for the park with some hunting permits costing more than a one hundred thousand dollars. 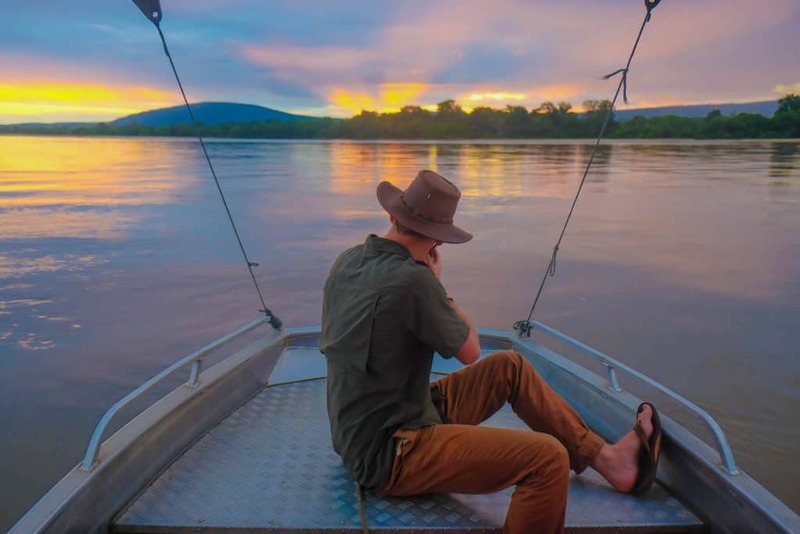 If there was one place left in Africa you could find Teddy Roosevelt it’d be the Selous. It is named after his hunting mentor Frederick Courtney Selous, after all. Our first evening in the Selous we explored the surrounding area in a game viewer. 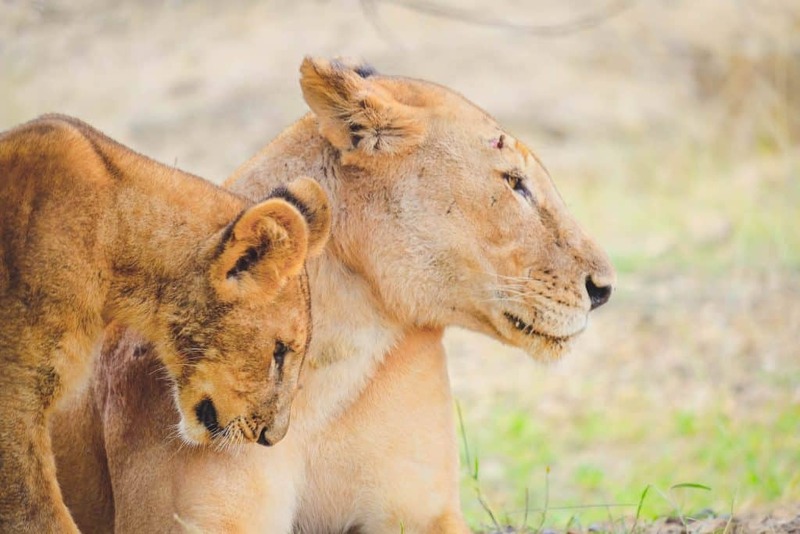 Unlike the smaller and more popular national parks and game reserves the animals of the Selous are dispersed throughout the park and hesitant of vehicles. We crossed dry river beds and climbed steep terrain littered with rocks. Roads in the Selous are rugged and the few vehicles that do drive around the reserve are free to roam where they please. This is the real Africa here. Only one animal seemed to be everywhere, the Masai giraffe. The panache and comedy of a giraffe sticking their head out from behind a bush always puts a smile on our faces. It’s why they’re one of our favorite animals to see on safari. The wildlife in the Selous is unique as it is a blend of both Southern and East African species. Animals here are not as charismatic as their counterparts in small parks and game reserves. 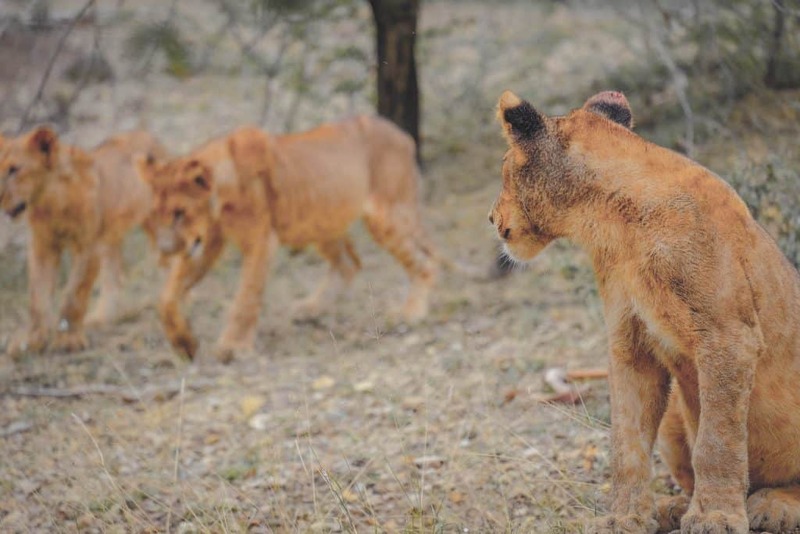 Lions and leopards are not habituated at birth to vehicles like some of the private game reserves around Africa. The reserve has some of the largest populations of game in Tanzania with nearly 120,000 buffalo, 40,000 hippo, and 4,000 lions. 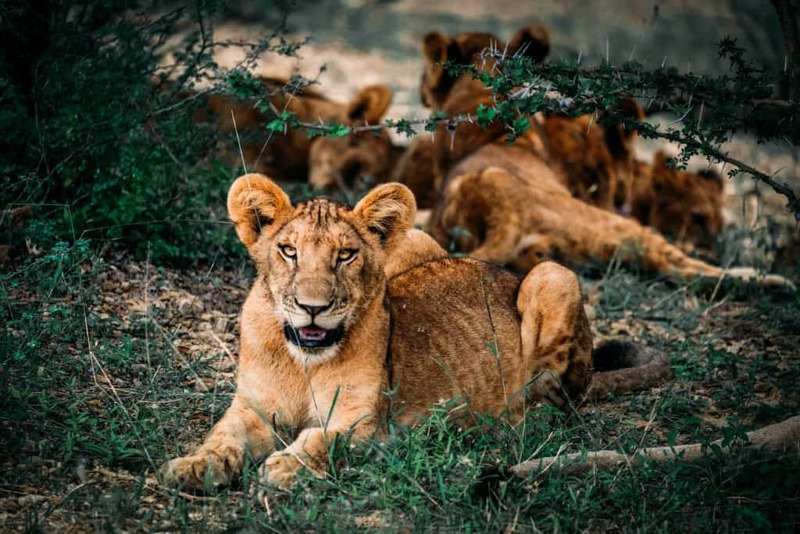 The population of lions is likely the largest in the world. Not to mention it is home to the planet’s largest population of African wild dogs, Africa’s most successful predator. It is easiest to spot wildlife in the dry season. During the dry season, animals gather around water points. The decrease in foliage also makes it easier to spot wildlife. The best time to visit Selous is June to October which is also the high season. Certain areas around the Rufiji River can get rather crowded. 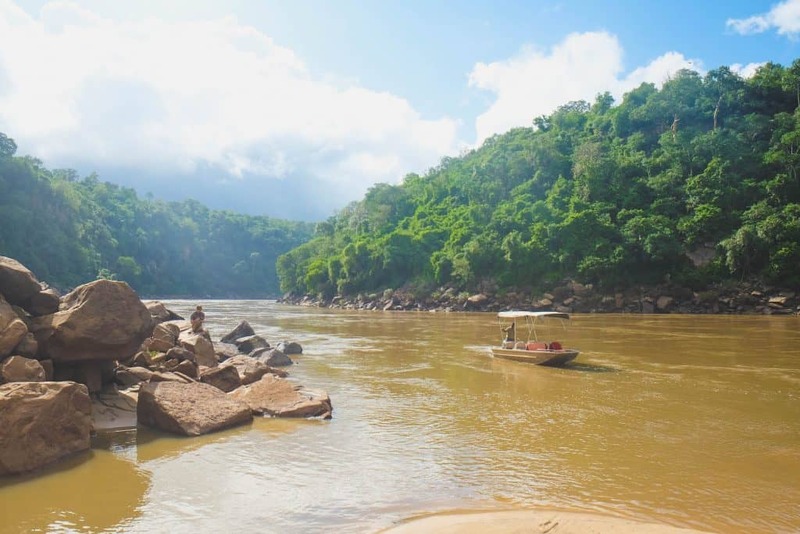 Most of the lodges are closed during the low season in the months of March, April, and May. The best weather is experienced in June to October with little or no rains, whereas the peak of the worst season sets in March and April. The lodge was founded in the 1990s by a legendary guide Richard Bonham. 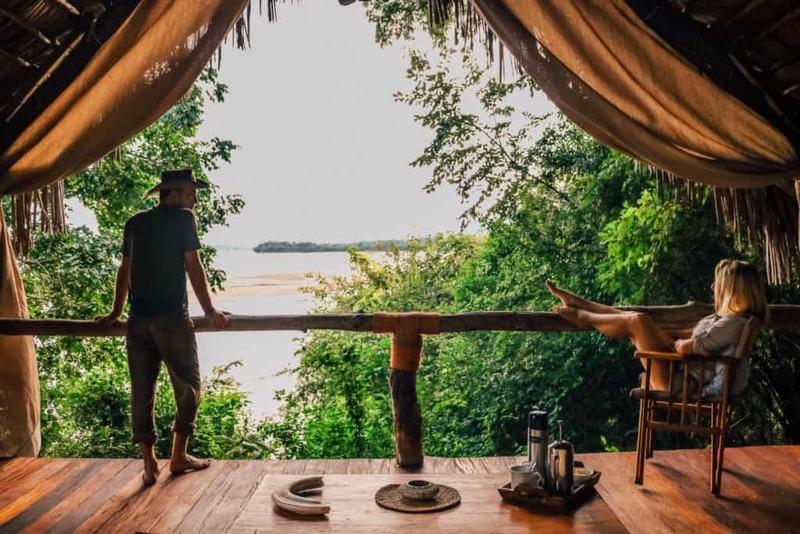 The fantastic camp sits in an amazing spot in the Selous Game Reserve, where the Rufiji River makes a wide curve on its way to the Indian Ocean. 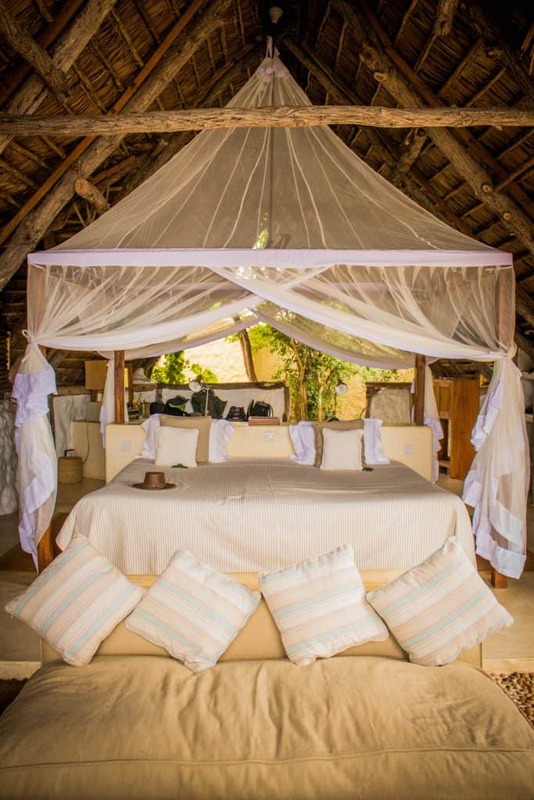 Eight thatched guest bandas, are set on raised wooden platforms that overlook the river. The rooms are open-fronted, low-key and permit the wilderness to drift into the villas. The sounds of the babbling Rufiji river are ever present while hippos grunt happily along the river banks all day and night. After, nearly three decades the camp has grown and matured. However, none of the camps original charm seems to have been lost. The most unique way to experience the bush at Sand Rivers Selous is to immerse yourself in it. Their Flycamping experience is a surreal night under the stars. 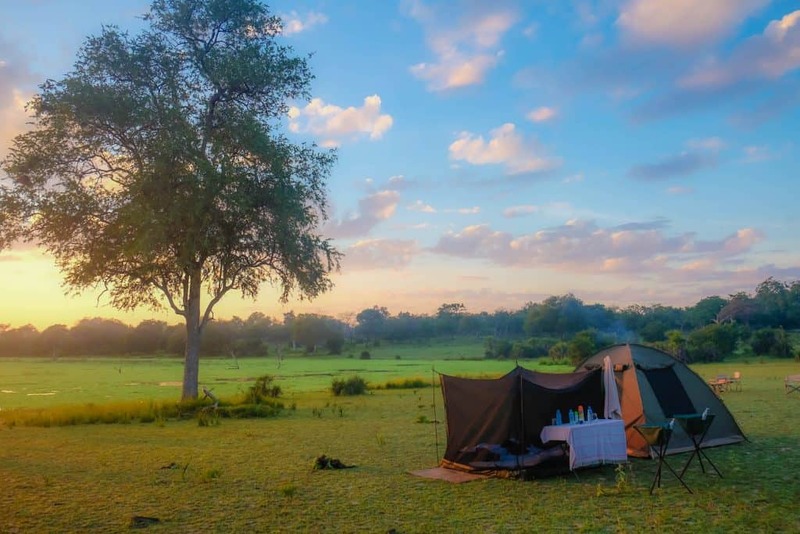 Guest arrive after an evening game drive to find a bed and camp prepared on the banks of one of the reserves many lakes. 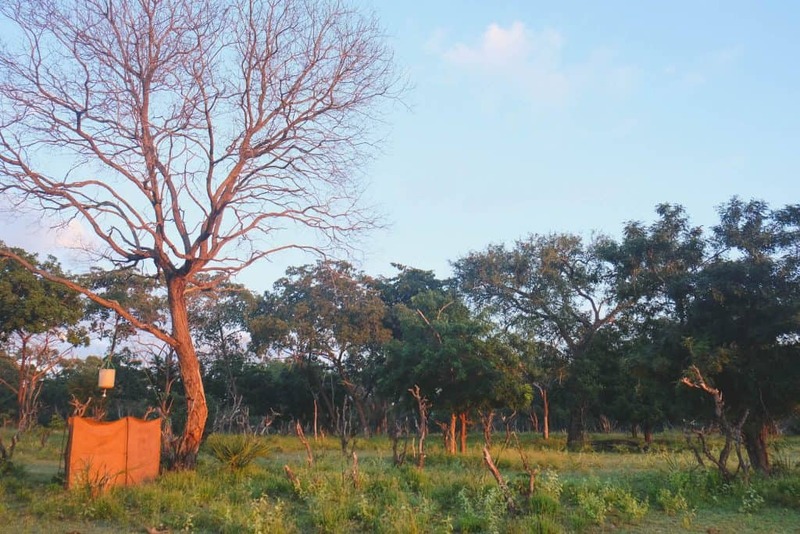 When we made our way into camp we found a fully prepared camp with a hot shower, long drop toilet, bar, fire, and our bed under a mosquito net. It didn’t take us long to make our way to the fire with a gin and tonic in hand to relax. All while the staff were busy preparing our candlelit dinner table and fire prepared dinner. After dinner and a hot bucket shower underneath the stars we settled back down around the fire to listen to the sounds of the bush. A few cracking twigs behind us revealed a curious hyena 15 meters away at our dinner table and grunts let us know that there were hippos only 30 meters ahead of us. It was only an hour later as we made our way to bed we came face to face with another hyena walking into camp. 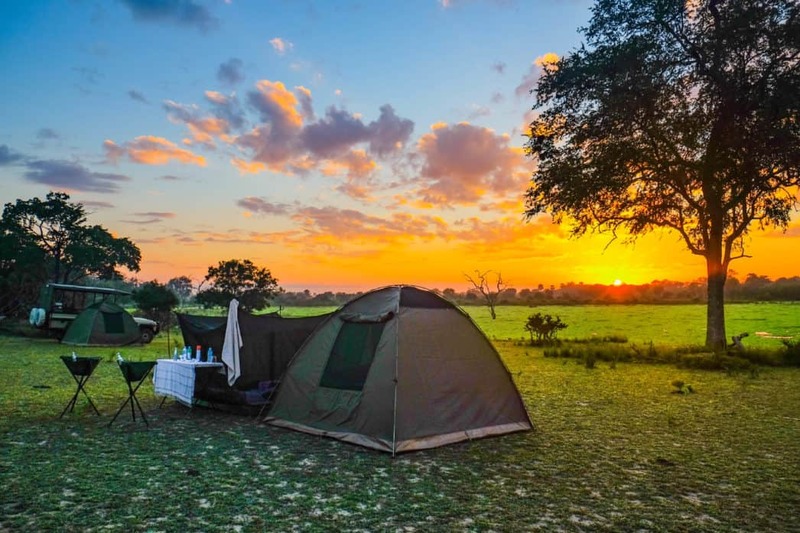 Close encounters like these is what makes flycamping so special. In recent years, throughout Africa, the fight is on for what precious wild is left. Poachers have ravaged the elephant population in the park and now the Tanzanian government has announced plans to dam and flood nearly 3% of the park. The proposed dam would flood Stieglers Gorge. A wonderful natural feature you can see me fishing in the included video above. At one point more than half of Tanzania’s elephant population lived here, but that is a statistic that is likely no longer. In 2009 it was estimated that 109,000 elephants lived in Tanzania. Fast forward to 2016, the most recent estimate and the elephant population in Tanzania is around 51,000 – nearly a 53% drop in a matter of years. The majority of that loss came from the Selous. With a massive amount of land and a small group of rangers to protect the park poaching has been rampant. In fact, in all of our time in Selous, we saw one elephant. It was a young bull elephant an animal that is usually charismatic. However, upon seeing our game viewer he disappeared fast into the thick bush, terrified of humans. It was a telling moment of the state of elephants in the Selous. What’s a typical day on safari in the Selous like? 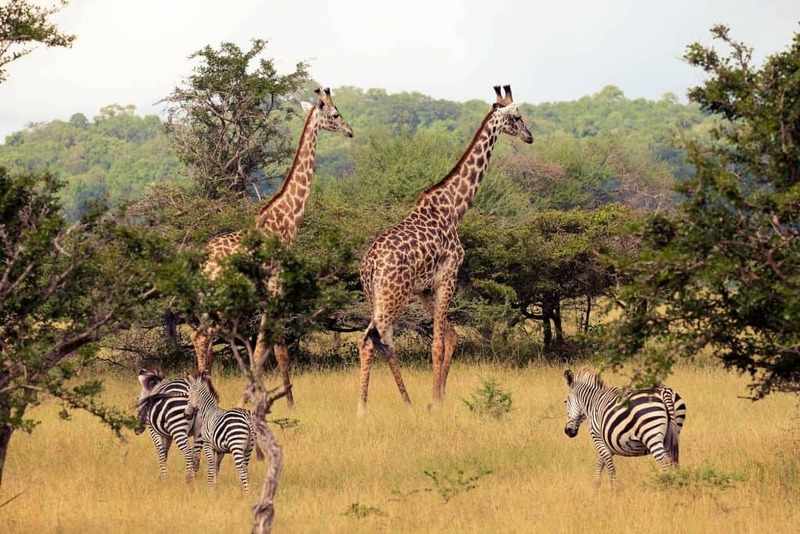 Check Out Tanzania Safari Tours!